Preconditions: Includes competence (to understand and decide) and voluntariness (in deciding). Information elements: Includes disclosure (of risks/benefits); recommendation (plan); and understanding (of information and plan). Consent elements: Includes authorization (based on patient autonomy). 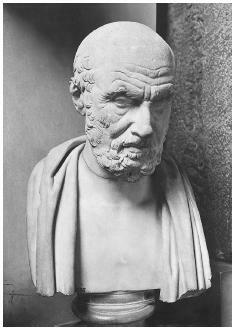 Hippocrates' oath, which granted physicians the right to practice in the patient's best interest, has conflicted with the twentieth-century trend toward patient rights. Physicians are obligated to disclose a core set of information including: (1) those facts or descriptions that patients usually consider material in deciding whether to refuse or consent to the proposed intervention; (2) information that the physician thinks is critical; (3) the professionals' recommendation; (4) the purpose of seeking consent; and (5) the nature and limits of consent as an act of authorization. Civil litigation emerged over informed consent to include injury to one's person or property that is intentionally or negligently inflicted by a physician's failure to disclose the injury, measured in terms of monetary damages. With the medical advances that emerged in the beginning of the twentieth century, such as improved anesthesia and surgical interventions, physicians began to disclose basic information without necessarily outlining all potential risks. The first important introduction of the notion of informed consent is in the classic case of Mohr v. Williams (1905). In this case, a physician obtained Anna Mohr's consent to an operation on her right ear. While operating, the surgeon determined that the left ear needed surgery instead, and proceeded to operate on it. A court found that the physician should have obtained the patient's consent to the surgery on the left ear. The judge decided that a physician needs to advise a patient of all the information related to a particular procedure and must review all the risks and benefits. Only after this exchange does the patient enter into a contract, a contract that authorizes the physician to operate only to the extent of the consent given. In the late 1950s a series of legal cases in California and the District of Columbia forever changed society's vision of the doctor-patient relationship. In California, radiation therapy went awry for a young woman, leaving her in much worse condition than prior to the treatment. After the therapy she was acutely fatigued and suffering from radiation burns. These side effects far exceeded the side effects described by the physician. She sued the physician, saying he never adequately explained the risks of her radiation procedure. The court found that unless such consent was based on full information, and that the patient fully understood all of the risks of the procedure, the doctor was not protected for liability. In several jurisdictions, beginning in 1972 in the District of Columbia, Canterbury v. Spence, informed consent emerged as a legal right with full legal redress equivalent to battery if informed consent was not provided. With the mid-1970s came the introduction and growing utilization of extraordinary life-sustaining treatments such as dialysis, respirators, cardiac resuscitation, and a wide array of organ transplantation. To protect oneself from the automatic use of such heroic measures, patients and their family members experienced an urgent need to be fully informed of risks and benefits and to have the authority to protect their wishes. Legal methods, including advance directives, living wills, and health care proxies, came to the fore of patient's rights as mechanisms to articulate and protect the patient's wishes over the imperative central tenet to medicine: If it can be done, it should be done. Advance directives. The Patient Self-Determination Act (PSDA) was passed in 1990 and went into effect in December 1991. The essence of this legislation is to empower the public with the right to be fully informed and fully self-determining regarding end-of-life decisions. However, since its implementation there is little evidence of national acceptance by the health care industry. The law applies to all health care facilities that receive any federal reimbursement for services, and includes hospitals, nursing homes, home health agencies, and clinics. The PSDA requires a health care mechanism for disseminating information about advance directives with patients. Advance directives have been available in parts of the United States since the late 1980s, but research shows that only a small percentage (5% to 25%) have some form of written advance directive. Advance directives allow a competent person to express who should be a decision maker and what preferences the patient may have. Psychiatric advance directives are a legal means by which a person with mental illness, while competent to make health care decisions, may specify his or her preferences for treatment and may designate a surrogate decision maker to act on his or her behalf in the event of an incapacitating mental health crisis. When informed consent is not viable for the patient, and he or she does not have advance directives, the process of surrogate decision making is initiated. Surrogate decision making refers to the process in which a loved one has to make a medical decision because the patient's judgment is incapacitated. Surrogate decision makers reach decisions for those with fluctuating decisionmaking capacity that is doubtful and thus need to be aware of all the side effects in order to make decisions on behalf of someone else. Courts and legislatures have been actively involved in the right of surrogate decision makers and the various related ethical dilemmas. Within the context of advanced life-sustaining treatments, patients and their family members have been confronted with life and death choices. The questions regarding who is competent to make which decisions is still a much-litigated scenario. Many judgments about terminating or continuing treatment are made daily for patients who are no longer able to choose for themselves—patients with HIV (human immunodeficiency virus), Alzheimer's disease, and Parkinson's disease, and those suffering from stroke effects, heart and kidney failure, dementia, and psychosis. A comprehensive movement toward informed consent began after World War II with the 1947 Nuremberg trials. In these war trials, it was revealed that physicians conducted abhorrent medical research experiments on concentration camp prisoners. The research included human experimentation with germ warfare, freezing individuals to learn what temperature kills individuals most effectively, and many more horrifying research trials. Between 1930 and 1945 Japan conducted human experimentation in biological warfare, including physical responses to infection and trauma, and thousands were killed. The Nuremberg Code, which emerged from the trials, abandons the earlier paternalistic perspective of medicine and research and replaces it with the centrality of patient self-determination by asserting that the voluntary consent of the human subject is necessary under all circumstances of medical research. With this, the modern era of ethics within biomedical research emerged with a particular emphasis on the patient's rights expressed by the practice of informed consent. The term informed consent first received wide awareness and prominence in public health research, as well as in the practice of medicine, in 1972, in response to the public outcry regarding unethical practices in the Tuskegee research. In 1932 the U.S. Public Health Service initiated a study that examined the effects of untreated syphilis among rural black men in Tuskegee, Alabama. Thousands of men were kept in total ignorance of the experiment, their infection, and the seriousness of syphilis. They were consistently steered away from receiving effective treatment so the United States government could monitor how the disease progressed, its many serious side effects, and its rate of fatality. Immediately following this disclosure, the first national government commission, the National Commission for the Protection of Human Subjects of Biomedical Research and Behavioral Research was established. One of its primary goals was to initiate a variety of legislation to further ensure a patient's right to be fully informed regarding any medical research. A decade later, the President's Commission on the Study of Ethical Problems in Medicine and Biomedical Research and Behavioral Research was formed in 1983 to replace the first commission. Its mandate was to deal with the full range of medical and ethical issues, including the care of the dying, genetics, and issues of health care decisions such as informed consent and allocation of resources. With the era of cost-containment in the 1980s and managed care in the 1990s, informed consent became even more critical. Informed decision counseling (IDC) has been used to promote cost-effective care and provide over-the-phone medical information from twenty-four-hour-a-day clinicians. Designed to promote appropriate utilization and effective patient-provider communication, IDC is based on the premise that health care consumers make appropriate utilization decisions if adequately informed. Informed consent will continue to evolve in response to continued advances in medical treatment, the shift toward partnership in patient-physician relationships, and new avenues of biomedical research. At the center of informed consent remains the critical primacy of the right for a patient to understand any medical treatment, medical procedure, or participation in medical research. Annas, George J., and Michael Grodin. The Nazi Doctors and the Nuremberg Code. New York: Oxford University Press, 1992. Applebaum, Paul S., Charles Lidz, and Alan Meisel. Informed Consent: Legal Theory and Clinical Practice. New York: Oxford University Press, 1989. Basile, C. M. "Advance Directives and Advocacy in End of Life Decisions." Nurse Practitioner 23, no. 5 (1998):44–54. Beauchamp, Tom L., and James F. Childress. Principles of Biomedical Ethics. Oxford: Oxford University Press, 1994. Buchanan, Allen, and Dan W. Brock. Deciding for Others: The Ethics of Surrogate Decision-Making. Cambridge: Cambridge University Press, 1989. Fairman, Kevin, and C. Murphy. "Drug Benefit Trends: Using Informed Decision Counseling to Promote Cost-Effective Care." Drug Benefit Trends 12, no. 4 (2000):44–48. Gostin, Lawrence. "Deciding Life and Death in the Courtroom: From Quinlan to Cruzan, Glucksberg and Vacco—A Brief History and Analysis of Constitutional Protection of the 'Right to Die.'" Journal of the American Medical Association 278, no. 18 (1997):1523–1528. Hanssen, Michael. "Balancing the Quality of Consent." Journal of Medical Ethics 24, no. 3 (1998):182–187. Veatch, Robert M. Medical Ethics. Boston: Jones and Bartlett, 1989.